Over the past five years, we’ve had thirty-three of our students either end up in the hospital or getting professional care for suicidal actions. So many approaching us personally. Others by their parents or friends. We’d always end up meeting or visiting with them. Sitting with them. Talking with them. Listening to them. Eating. Laughing. Crying. Reading scripture. Telling stories back and forth. We’d pray and I’d share a few words of encouragement. And then we’d leave. And as we left as I always wondered, what could I leave them with besides just my presence? What about my gifts? Something they might be able to hold onto. To touch. Recently, I wrote poems that were really just those words of encouragement I shared but in writing. They were for a single student who I helped every morning who struggled with similar things. So I did only what made sense. Kept being present. Kept sharing scripture. Kept helping in whatever way. But also, I wrote some for these others too. So I wrote them on notecards, napkins, some in a text. Anything I could find. I’d say a little prayer in my head and hand it off as I’d leave. Each student reached out afterwards in ways I don’t think they ever would have. And then as I continued on in ministry, we discovered more. Those thirty-three students doesn’t include the hundreds (yes, hundreds) of others that have suffered from related issues like depression, anxiety, and addiction. Unfortunately, I’ve found that this is the new epidemic among young people. And it’s hit our students quite a bit. So many experiencing lows that were harder than anything I’ve personally experienced. Wondering why one day they feel ready to conquer the day when, for no reason at all, they then feel the darkest version of depressed and lonely. A daily roller coaster of emotions and spirit draining. So I wrote many other words for these students as well. And that, ultimately, led to this book. The story of their life is not finished yet. And it’s something to keep going after. I’m not saying that these words and this book is THE solution for these students. All I know is I felt led, once again, to at least do something about it. And now hopefully these same words can help you in your story as well. So that you can keep going. 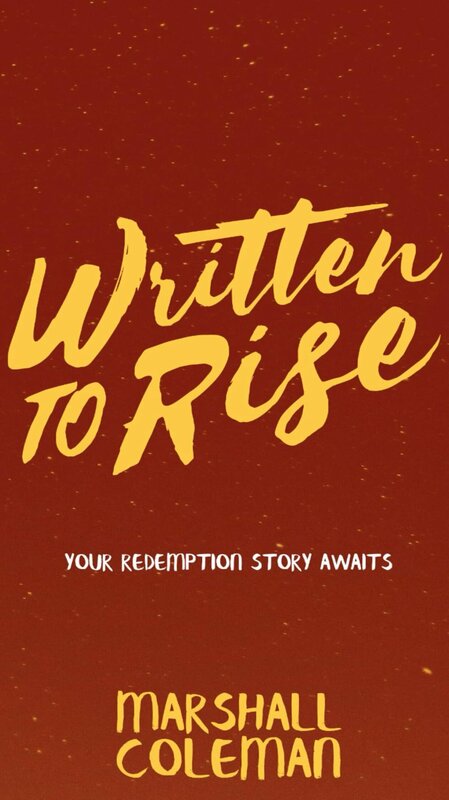 For your story is written with redemption. ***To get your own copy now, GO HERE. Can’t wait for you to read it!